Growth, strategy, marketing and millennials dominated the conversation at this week’s Project NOSH L.A. event, held at the Skirball Cultural Center in Los Angeles. The day began with a presentation by Tom Bilyeu, Co-Founder and President at Quest Nutrition, focusing on the food company as a value creator. He explained how, by eschewing traditional marketing and using social media to target key influencers and leverage people’s desire to connect with their product, Quest has transcended simply selling the product itself and built a community with an authentic and deep relationship to Quest Bars. Discussing long term change and the new food movement, Sunrise Strategic Partners CEO Steve Hughes pointed towards declining revenues for legacy CPG brands, driven by millennials’ changing food preferences, as an opportunity for both new better-for-you brands and savvy investors to take advantage of. Noha Waibsnaider, Founder and President of Peeled Snacks, shared lessons from her company’s experience in staying nimble to succeed. By opening a conversation with consumers and listening to what they need, Waibsnaider explained how companies can evolve alongside their customer base and create trust through transparent and honest exchange of ideas. Deb Hannah, Director of Retail Brand Partnerships for Packaged Food at Starbucks, shared the thought process behind how the coffee giant make decisions on what food products to stock, whether from an established brand or young upstart. As Starbucks brings selected products along through small scale testing to, ideally, national distribution, Hannah stressed the importance of strong packaging and high quality food, but also communicating what the brand stands for. In a discussion that included Monika Coyle, Local Purchasing Coordinator at Whole Foods Market, and Rich Gillmore, Sr. Category Manager at Gelson’s Markets, RangeME CEO and Founder Nicky Jackson explained how retailers think when selecting which food products to stock. Among the trends highlighted were demand for clear labeling of certification (non-GMO Project, USDA Organic or others) and attractive packaging. 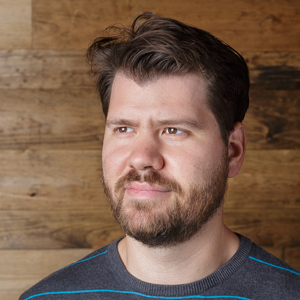 Brendan Synnott, Founder and CEO of Revelry Brands, used his experience in launching Bear Naked and Evol Foods to explain how his attitudes toward strategy, people and capital structure have changed over the last 14 years. He advocated for a fluid distribution model, rather than hard and fixed, as well as using a financially driven work culture, rather than mission driven, for motivating and retaining staff. After a break for lunch, the program resumed with Suzanne Ginestro, Chief Marketing and Innovation Officer for Campbell’s Soup’s C-Fresh division. She voiced skepticism over traditional marketing methods, instead stressing the importance of having a great product and engaging with consumers who can spread the word on their own. After much discussion about branding and marketing, Duane Primozich and Carole Buyers, managing partners at BIGR Ventures, addressed the financial side of the equation. They explained how financial models can be compelling narrative devices and encouraged entrepreneurs and investors to use those models for strategic planning. Matthew Sade, CEO of Kite Hill, talked about the highs and lows of pioneering the white space between categories. Besides advocating for intensive testing and refining of product, he advised entrepreneurs to take a “sell the category, not the brand” approach to marketing. Josh Schroeter has experience as a food pioneer as well: his company, Sherpa Foods, is attempting to introduce an ancient grain from the Himalayas called tsampa to American consumers. In a conversation with BevNET Editor-in-Chief Jeff Klineman, Schroeter discussed the challenges of building an ingredient-based brand and how he’s embraced innovations in packaging. Joined by her co-founders Greg Fleishman and Sarah Michelle Gellar, Foodstirs CEO Galit Laibow spoke about her experience building the brand of organic and non-GMO baking products. The group highlighted the importance of building an online community of engaged supporters, rather than relying on the brand’s affiliation with a celebrity like Gellar. 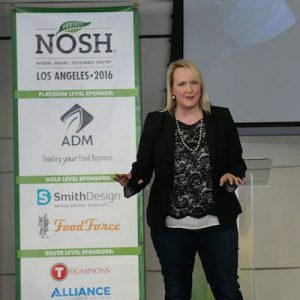 The day featured the first-ever Project NOSH LA Pitch Slam, in which representatives for five emerging brands — YuMaMi, Peak Yogurt, nud fud, Hot Dang and Turtle Haus — had four minutes to convince a panel of four judges that their product was the future of natural food. 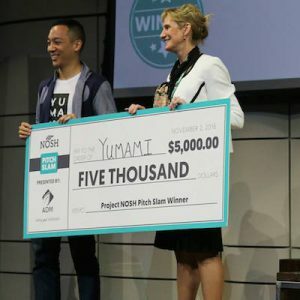 After peppering each brand with questions and feedback, the judges deliberated in private and returned with a winner: YuMaMi’s Go-Dip snacks, which they praised for its disruptive chip-plus-dip-to-go packaging and for its bold Asian-inspired flavors. Culminating the day’s agenda, John Tucker, CEO of Farmhouse Culture, spoke about how growing companies can maintain their core mission as they scale. He underscored the value of understanding the “why” that drives a brand and instilling that concept holistically, through all levels of staff and management, through the company.